Don’t call this look girl-boss-off-duty. This sustainably fierce spring 2017 street fashion look doesn’t have to be weekend only, not if you’re the girl boss. This casual rebel style is the height of streetwear fashion right now, with top Seoul fashion designer, Hong Bum Kim, elevating the humble hoodie to high fashion hipness through his brand, Cres E. Dim (we’ll be sharing some of his pieces in a our fall fashion picks later this summer). This look is comfortable, cozy, casual, and . . . it’s sustainable. What? Yeah. That’s right. Well, the skirt is sustainable, made from fabric that would have normally been consigned to a land-fill. I’m happy to say that the ASOS skirt was scheduled as part of our publication season well before I attended the H&M Conscious Show in Hong Kong. I purchased it because I liked the idea of marrying something very wearable and stylish to sustainability, even if it’s just a small pebble in terms of the sustainability movement. We still have a long way to go in sustainability, especially in the fashion industry, but reclaiming old fabric or clothing is one great way to do it. The rough unfinished look of the skirt is a fresh fashion statement, even though it’s remaking old fabric. 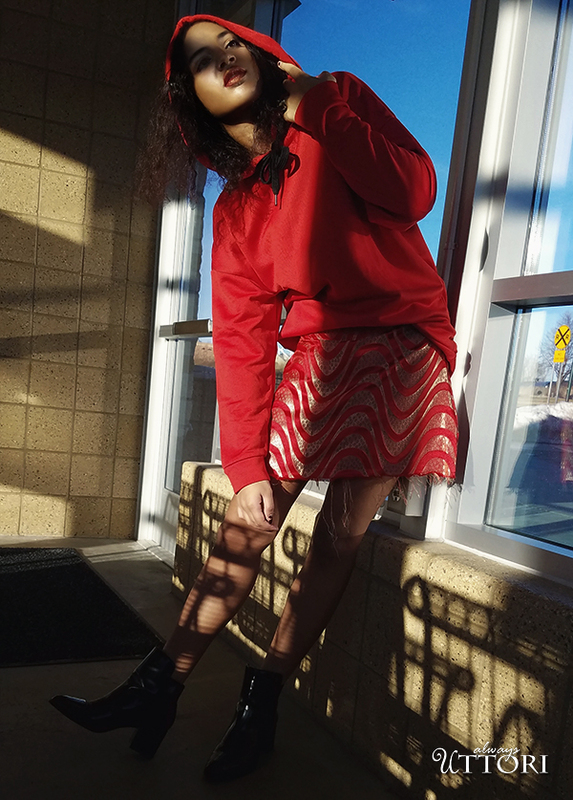 Plus, pairing this fancy skirt with an oversized hoodie provides instant sustainable street chic cred. And, the hood is great for those introvert days when you want to hide, but still look fashionable instead of like a sleepy college student. P.S. you can still sleep though!